september blog train has arrived ... be inspired! 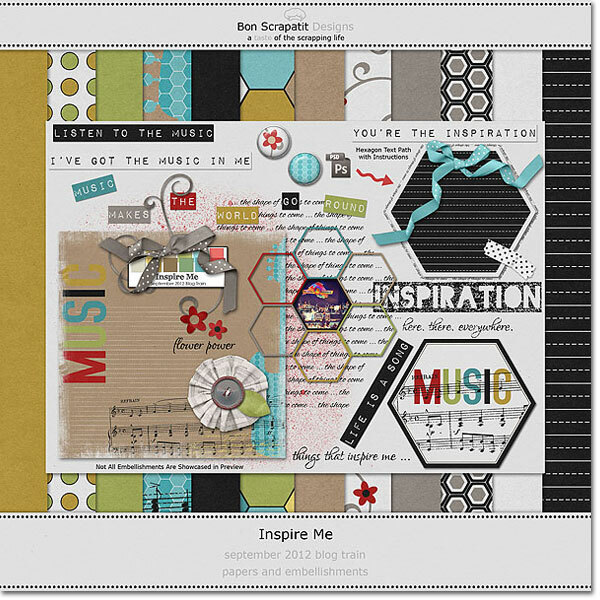 September's blog train theme is, *Inspire Me*. My contribution this ride reflects a few of the things that have been inspiring me this summer, especially now that I am back in my designer chair. 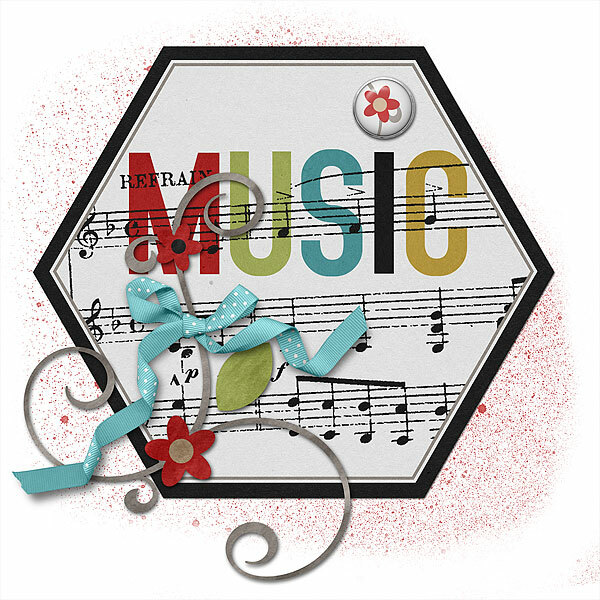 *squee* Music, flowers and the latest trending shape, hexagons have all kept my eyes and ears quite busy lately! I will share more about all of that next post. I hope that you are enjoying your ride through Scrapland and please do come back and visit me next week, sometime after Labor Day. I will have a couple of extra goodies to add to *Inspire Me*, that I truly hope will inspire you! Have a safe and fun Labor Weekend everyone here in the USA! If you've lost your way or wish to see the slideshow and/or the entire list of participating designers, then head on over to The Blog Train Blog. inspiration. What a great place to collect recipes too!